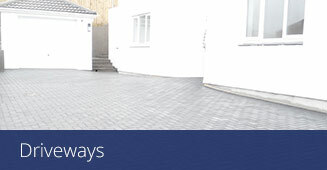 We are leading patio, block paving and driveway specialists in Cornwall. AP Paving are Marshalls Approved suppliers and installers of premium paving for domestic, commercial and industrial clients throughout Cornwall. As an independent, family run business, we are proud to offer both a skilled and friendly workforce with over 20 years of experience in the industry. You can be assured of fantastic service from start to finish and outstanding results. Being a Marshalls approved contractor, we have the backing and technical support of the biggest manufacturer of paving and hard landscape products in the UK. We can create striking paving, patios and driveways in a multitude of styles, colours and finishes. There’s something for everyone in our range, we tailor our services to your tastes and budget. A P Paving partakes in regular inspections of installation methods which are adjudicated by Marshalls and we have never had any issues. 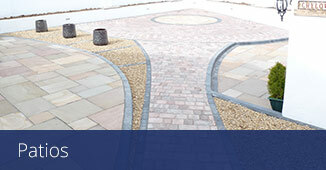 We offer ten year guarantees on Marshalls’ products and five years on our installation. Whether you’re looking to sympathetically restore your traditional paving or bring your patio bang up to date with contemporary shades and styles, A P Paving can oblige with a full range of high quality materials available in a wide spectrum of colours. We also offer cleaning services to restore your existing patio, driveway or block paving to its original splendour and, as a Cornwall County Council approved contractor, we are licensed to lower kerbstones and pathways for access purposes. We can turn our hand to any development and lay beautiful paving for your garden, patio or driveway which will last for years to come. 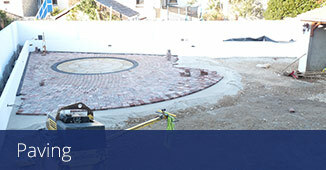 Here at A P Paving we pride ourselves in the relationships and trust shared with our customers. We provide no-obligation, honest guidance when required. 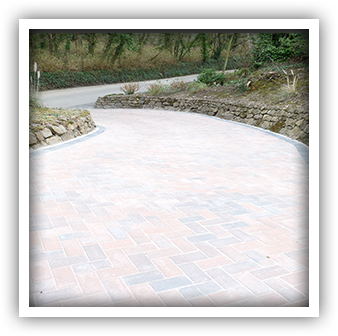 Contact Cornwall’s premier pavers today to discuss your requirements or arrange a quote.